Planning a vacation to Glacier National Park, Montana? 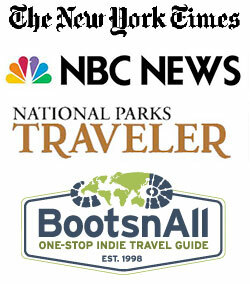 Learn about the best Glacier National Park hikes by reading user submitted hiking trail reviews. With hundreds of trails to choose from, you don’t want to waste your time on the bad ones. Everyone has a favorite Glacier National Park hiking trail! What’s yours? Is it the Highline Trial with it’s amazing views and scary heights? Or Iceberg Lake with Grizzly Bear spotting opportunities at every turn? Are the Boulder Pass and Brown Pass backpacking trails in remote Polebridge your favorite? Or do you prefer a nice easy stroll to Hidden Lake? What memories do you have from the hike? What's YOUR Favorite Trail in Glacier?